MPs received a surprise in the House of Commons on Tuesday when Theresa May quoted a catchphrase from a car insurance advert to explain the options on Brexit. Theresa May is under mounting pressure from Cabinet ministers and junior colleagues to signal that she will not take the UK out of the European Union without a deal on March 29. The Labour Party has announced it will back a second referendum to prevent a “damaging Tory Brexit” if its withdrawal plan is rejected by MPs this week. Ministers came under fire after the House of Commons rose more than four hours early despite Brexit uncertainty. The Dutch foreign minister has said another outcome to the Withdrawal Agreement is “not realistic” during a visit to the Irish border. The Sinn Fein leader says that looking at how Scotland’s MPs are treated in Westminster affirms her belief in abstentionism. An MP who was wheeled into the Commons to vote on Theresa’s May’s Brexit deal after postponing a Caesarean section has welcomed plans to allow new parents to nominate other members to vote on their behalf. Theresa May’s Brexit deal will face fresh scrutiny when the Cabinet’s full legal advice is published, following one of the most punishing days in the Commons for a sitting Government in recent memory. The first of five days of debate on Theresa May’s Brexit deal took place on Tuesday, as the Prime Minister battled to save her plan. Theresa May is battling to keep her Brexit agenda on track as MPs are again set to clash over the Prime Minister’s EU withdrawal plan after inflicting major defeats on the Government. 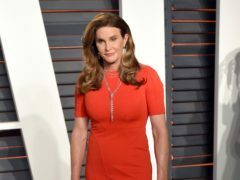 Transgender activist Caitlyn Jenner has hit back at critics who have questioned her suitability as a voice for the transgender community. Katie Price told MPs that online abuse should be made a specific offence following social media attacks against her son. Katie Price will appear before MPs to give evidence about online abuse after her petition demanding the Government take action against internet trolls garnered more than 220,000 signatures. The SNP's promise to shake up Westminster appears to have borne fruit with research showing mentions of the words "Scotland" or "Scottish" nearly doubled in the Commons after the party won 56 seats north of the border.